A company that is pivotal in seeing the elimination of food waste to landfill is making sure that young children get the chance to ‘eat up’ by funding a breakfast club. 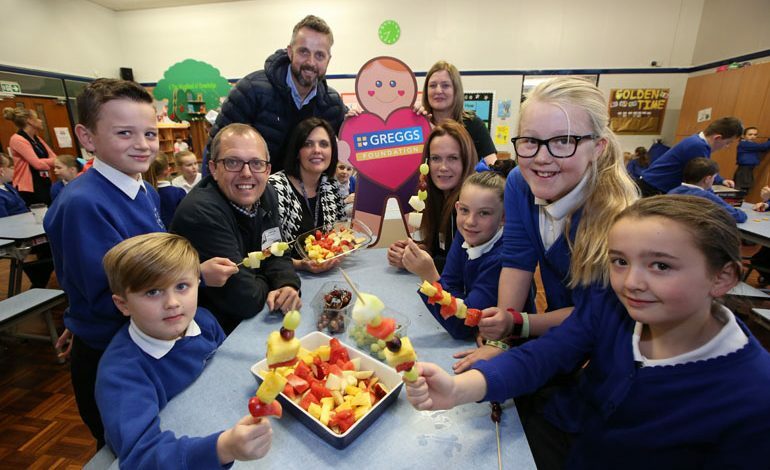 The new Greggs Foundation breakfast club is being run at St Andrew’s School in Bishop Auckland – sponsored by Warrens Group, which collects food waste from all over the region to be converted through its £15m Emerald Biogas facility on Aycliffe Business Park. Adam Warren, a director of the family firm, said: “We just can’t bear to see anything wasted – and that includes the potential of youngsters who may be under performing due to a simple lack of nourishment. Emerald Biogas already processes 115,000 tonnes annually at its Aycliffe facility – a figure that is growing year on year. That enables in excess of 100 million KWH of clean energy to be generated – enough to power 19,000 homes for a year. In addition the company produced 100,000 tonnes of bio fertiliser for use by farmers. 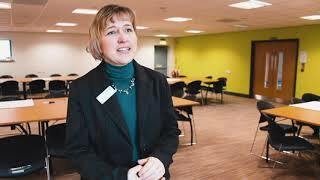 Lynne Hindmarch, Greggs Foundation breakfast club manager, said: “We started the Breakfast Club programme in 1999 to help primary school children from disadvantaged areas get a nutritious start to their school day. “The Breakfast Clubs encourage schools to involve parents as volunteers so they run more cost effectively and help parents, who may otherwise be out of employment, education or training, to increase their understanding of and experience in a work situation. Acting head teacher of St Andrew’s, Nicola James, said: “Having a FREE breakfast club for ALL children is something very rare and special in Primary schools. “It means that our children can all have access to a healthy start to their day, which in turn will prepare them for the day ahead and ensure that they can achieve the very best results possible.